We uploaded another interview from "The First Generation" series. You can find out more about our podcasts here (press Podcast). Sanjay Talwar – the name on the stage of Sahaja Yoga which you cannot overlook. His voice and songs devoted to Shri Mataji is to be found on many CDs and cassettes. 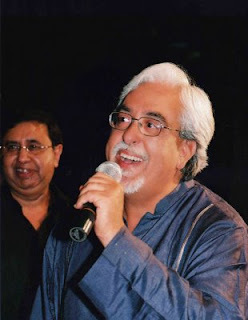 Sanjay Talwar is a „singer of the heart“ - his songs tell about love, relationship to Shri Mataji and belief in God. We play a few albums of his on our Sahaja radio. 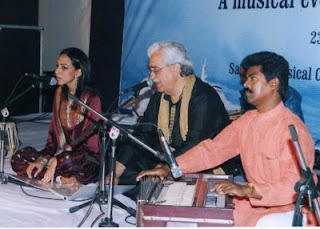 Sanjay has been a sahaja yogi for a long time, for more than 24 years, and he was in attendance at the birth of the music group Nirmal Sangeet Sarita. From 1986 to 2003 he recorded 17 audio recordings and 1 DVD. Shri Mataji Herself asked him to record songs for Sahaja yoga and Sanjay met Her wish. Here is the interview with the singer who has his „heart wide open“. VH: What were your music beginnings like? How did you get to music and what attracted you most? ST: I had music in me as a child, but I was just a bathroom singer. I was a bit popular in my college for singing film songs. I used to sing mostly sad songs. I used to feel a lack of love in my life, and I could not understand why I would become sad so often.I always used to be concerned about why some people suffered so much, paricularly when they were so nice and humble. I would often question my mother, as to why good people die sooner then the bad ones. I remember she used to have a tough time answering my questions. I myself suffered at the hands of the right-sided and dominating people ( there were many in my family), but I would found recourse in singing my hurt. It would somehow provide me with relief. I ALWAYS FELT THAT MUSIC HAD SOME POWERS THAT COULD OVERCOME FEAR AND WEAKNESSES. Shri Mataji was the instant answer to my musical quest.SHE SHOWED ME THAT IT WAS JUST LOVE. She brought it out very gently and then began to nourish it with lot of love and compassion, while quielty opening all the obstructions in its path.This indeed was the biggest attaction for me. I was enjoying this sudden attention thoroughly. 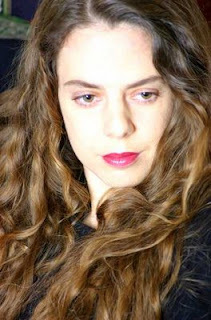 VH: We ask every single musician how heshe has got hisher Self-realisation. Can you describe your story of the second birth for us? ST: I was 29 when I met Shri Mataji. She instantly knew what I was going through, and I was quite shocked in the manner She started to take interest in me. I remember, it was on 04th July 1984, I was visiting London. Shri Mataji had met me previously at my house, when she came as part of the Groom’s family to meet the Bride’s parents when the wedding arrangements were to be fixed between my sister and Shri Mataji’s nephew ( Mr NKP Salve’s son). This was way back in 1982. I remember Baba Mama also came with her. I was entrusted to look after Baba Mama. They would say that he loved his drinks, and I was asked to serve him the choicest of brands. That was the first time I met Baba Mama- in 1982. There was a tradition, that the bride’s family should please the groom‘s family, and that till the marrage took place, they were to be catered with full devotion and love. No one was to feel even slightly uncomfortable. Both my wife and I were entrusted with the responsibility to look after the Groom’s Aunt and Her brother, ie. Shri Mataji & Baba Mama. That was indeed the biggest luck of my life.I don’t think I was aware (at that time) of this great fortune. Shri Mataji immediately took charge of both me and my wife, and started to tell us about Sahaj Yoga and its amazing powers. I began to wonder who is looking afer who? She would often tell my wife that she had a hot liver, and must use ice on it.Right from the beggining, Her attention was on my Vishuddhi. She started to work on my left Vishuddhi, as I used to stay very sad, and then She would ask me to sing some songs to Her. Baba Mama would silently sit and watch how She worked on me. Now coming back to 04th July 1984, It was a date I will never forget.Shri Mataji had invited me to come and stay with Her in London, as by now my sister was married to Her nephew for 2 years already. I had this invitation from her pending for long. Then one day, came the opportunity for me to transit London on my way to Toronto to work on some business I was starting with my elder brother. I remembered Shri Mataji’s invitation.Fotunately, I had a full day to kill in London, and I had no work that day. So I decided to call on Shri Mataji. I was informed that She was conducting a realisation programme in town. So I took the address and came to the programme. The moment I came in the hall, Shri Mataji noticed me, and ushered a few Yogis to make me sit right in the front. Then I saw a few Yogis taking positions behind me. She had just started the realisation, and I had walked in just on time.That was the day of my realisation. Later that evening, Shri Mataji invited me to sit in Her car and took me home. She had cooked Tandoori Chicken, and very lovingly She fed me. It was just Her, Sir CP and myself. Then she told me about Sahaj Yoga and its great dimensions. I could not feel the vibrations then, so She worked on me. It was my Vishuddhi that was not opening up, and I was asked to repeat “ I am not guilty“. That is when, was the born the musician in me. VH: You are the author of many songs on many albums, Shri Mataji has given you Her blessing and advice how to go on. How do you remember this cooperation? I will need to meditate on this first, before I write anything, as it marks the golden period of my life. A good 8 long years with months of personal time with Shri Mataji. I must say that the real musician in me, was born out of some of some miraculous experiences I had, in the presence of Shri Mataji. She constantly nourished me with Her presence, Herself clearing out all my chakras.I will try to take you step by step towards its culmination to a wholesome experience. I hope through this sharing, it would pose a good case-study to many yogis, of Shri Mataji’s influence on a seeker. One day Shri Mataji decided to build Her Pratishthan home in Pune. I remember, It was the winter of 1986. She was visiting Jaipur. My father asked me to accompany him to Jaipur, as he was the Leader for Delhi. Shri Mataji, the moment She saw me, she exclaimed that it was good that I came, as She needed me there. I could not understand, of what use I could have been to Her. It was actually the other way around. She knew that it was the right time I needed Her the most.I was actually going through a very bad turmoil in my family. Shri Mataji immediately took over. She asked me to accompany Her to Rajasthan and told everyone that She needed me to assist Her with a lot of work. Then she very sweetly asked me if I could drive Her to Rajasthan. I was delighted at the idea. 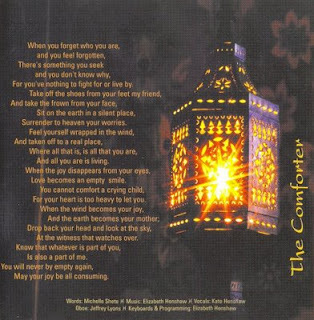 It was during this journey that the poet, singer & composer was born in me. Let me go a little deeper into this part of the journey.It is very intense, and there are many moments of some very personal time and learnings I had from Her. My first musical encounter with the Adi Shakti happened in the car, in which I drove Shri Mataji to the interiers of Rajasthan. It was a cold December morning of 1986. Shri Mataji had woken up early at the residence of Mrs Pardal ( Leader for Jaipur), and had sent word to me to get ready to drive her through the heart of Rajasthan, as She had fixed appointments with various house owners enroute to see their homes with Jharokas ( artistically hand crafted windows) for making her home – Pratishthan in Pune.I had woken up that morning with a severe stomach ache, and had a loose tummy. I did not want to miss the golden opportunity to drive Shri Mataji, and so I did not disclose my problem to anyone. We left early morning, with my wife, Manish Singh and Mrs Pardal sitting at the back and Shri Mataji opting to sit in the front seat next to me.It was not just an ordinary journey, but really the journey of my life had just begun. I had a small Fiat car with two bucket seats in the front. While Mrs Pardal ( Jaipur Leader), Manish ( he was the officiating cook of Shri Mataji) & my wife Aradhana squeezed in to the back seat of the car, Shri Mataji opted to sit beside me on the front seat and I drove off.Remember I had told you that I had an upset stomach that morning, and I decided not to tell anyone?. As I started to drive, my stomach started rumbling and then I was in pain. Shri mataji immediately asked me to stop the car, though I wasn't complaining. She got out of the car, and went across to a nearby medical shop and brought me some Ayurvadic tablets. She then asked Manish to fetch me some butter-milk. As soon as I had it, I felt immediately better. "Now", she said, "It is a long journey ahead, so why not have a song from you? "That was the first time ever, I got to sing in front of Shri Mataji.I asked Her: "Mother, what would you like me to sing". She said: " Sing any song you like". So I started singing "Hamein Tum Se pyaar Kitna.."
It was a romantic song from an Indian film. She interrupted me briefly and told me to try changing the words a little so that it could be directed to the Devi. I could not fathom what she meant, and I just stopped singing. She then gave me the words, which my wife started to jot down in the back-seat. Thus started a journey where Shri Mataji continued to give the words and I continued to sing them. The meaning that came out were simply divine. She would stop in the middle and asked everone in the car to check the vibrations. She then explained to me the meaning of the words. I shook my head, and said: " Yes Mother, this sounds great".. Can I do more such songs? "Yes", She said, "now you carry on making the songs as we drive along and make sure that what you are creating, is what the seekers will listen to, and take their Self Realisation". I was thrilled at the prospect. All this while mother kept her hand on my Vishuddhi from the back, sometimes mssaging my shoulders, and at times running Her hand over my back- agnya. She would occasionally ask me: "How does it feel? Don't you feel your voice opening up?" Yes!! Mother I exclaimed, I cannot believe this is my voice." She had worked on my Vishuddhi for hours, as I drove.That day we drove for 12 hours non-stop, till we reached Makrana. Enroute, I saw a lot of miracles, which I would not like to talk about here, as I would be then transgressing from the the main topic. Thus were born my very first musical Sahaj Compositions. Shri Mataji, would always ask me: "Have you written something new?". So every time I had to be in Her presence, I had to make sure I had a new song ready. She would just call me and ask me to sing a new song, that I had written and composed.She would ask all the yogis to listen to the amazing songs and then She would explain the meanings. I was quite surprised that I had written almost 24 songs in just a few days, while being in the presence of Shri Mataji.We had some amazing experiences with Mother in that Rajasthan trip. It lasted for about 3 days. Finally we drove back to Jaipur. On the way She asked me if I could accompany her to Mumbai, as She had no one going with Her. I galdly accepted. She told me that I would have to sleep outside Her room, as She was staying in just a one-bedroon flat. She enquired if I would be comfortable. I was simply thrilled. 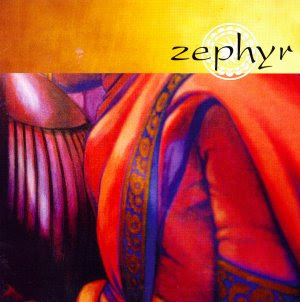 Although the Australian music group produced their first album Zephyr 7 years ago, it still belongs to my favourite ones. I bought the album in Australia, thanks to the internet, but first I had heard it on a cassette from my sahaja friends. This album is really unusual – you can feel gentleness, love, creativity, spirituality and respect to the Divine Power. Why do I come back to this album after years? VH: What was your first experience with Sahaja yoga and self-realization? EH: In 1986 when I was 15 my parents, John and Judy Dobbie, came to Sahaja Yoga and my brother and I made friends with the other kids in Sydney. These friendships were very strong and definitely helped to keep me committed to SY at that age. There was no 'moment' of self-realisation, but I believe that SY kept me grounded and on the straight path during tricky teenage years. VH: The record has got two wrappings. The first one was perhaps for Sahaja yogis and I have known it was being sold at Ganesha puja in 2001. The second one is for selling all over the world and it was also put into the category of the world music. Why that change of wrappings? EH: Zephyr is essentially a studio-based project which I started in 2000, when I decided that all the music I was writing for fun should really be recorded, produced and put out there. So I taught myself production, and evolved from being a classically trained pianist to becoming a composer, lyricist, arranger, producer, piano/keyboard player and programmer. I found talented vocalists and instrumentalists from a variety of musical backgrounds to come and record the parts I wrote out for them, as well as other lyricists to contribute. 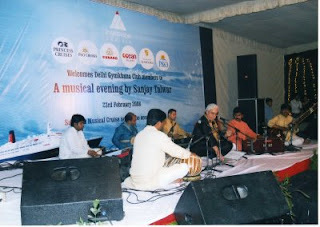 These were mainly all Sahaja Yogi professional musicians. 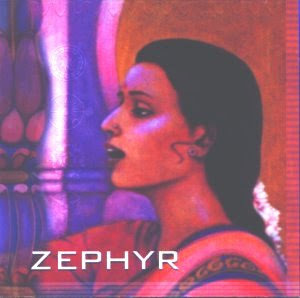 With the first (self-titled) album 'Zephyr' finished and mastered, we had 1000 copies manufactured, which is what you bought at the puja originally. I then sent these out to music publishers and record companies, and I was offered a music publishing contract in 2001 with Origin, who released the album commercially. It was the same recording, but we had to design a new cover and booklet. I then went on to write and record 'Flame' which Origin released in 2005. The combination of having a deadline but also total creative freedom works very well for me. 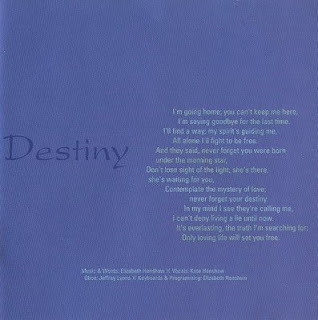 Destiny – maybe the most played song on the Australian Sahaja radio. What is it about? EH: 'Destiny' is essentially a 'seeking' song. The words came straight out of my subconscious - I didn't think about them! Luckily it works OK! For me the music always has priority over the lyrics. I think the music can transmit even more vibrations than the words sometimes. I wrote the music under a tree with a sheet of manuscript paper and pencil, out of my head: three vocal parts (in harmony) and the oboe part (expertly played by Jeff Lyons). Then I added all the other instruments (samples) in the studio. 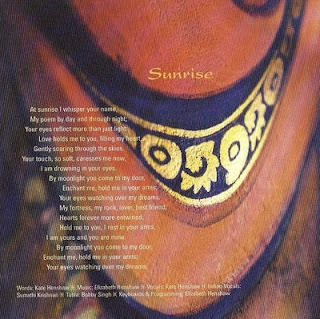 VH: Sunrise – unusual and nice composition with Indian vocalizing and tables – mixture of western and eastern music. Really great example. How was that created? EH: Yes, this is a fusion of some interesting elements; Baroque harpsichord, Indian classical vocals and tabla, rhythmic pop synth and bass. Kate's vocals were laid over the strings, bass and harpsichord, then Bobby Singh and Sumathi Krishnan came into the studio to put down tabla and indian-style vocals separately. We recorded a lot of Sumathi improvising, then I cut it up, chose the best bits and moved them around where they sounded best! 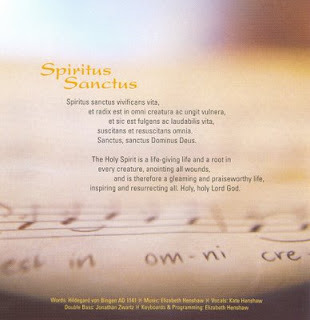 VH: Spiritus Sanctus – music text Hildegard von Bingen. Why did you use this topic? EH: Hildegard von Bingen was a 12th Century female 'saint' who wrote theological, botanical, and medicinal texts, as well as letters, liturgical songs and poems. I used this text as it is about the Holy Spirit, and I like the sound of Latin! I wrote the double bass part first in a difficult time signature (played by jazz bassist Jonathan Zwartz). There are 10 beats in the bar, divided into different rhythms in different sections. The tambourine and harp add a medieval touch. This song has been recorded by a successful vocal group with my permission, and has always received a lot of national airplay on ABC radio in Australia, probably more than any other Zephyr track. VH: The Comforter – I know the version which is simpler and shorter and is placed on the selection IPO. It is interesting how the song can be improved and recorded differently. Do you think musicians should record their pieces in different ways after some time? EH: Every song can be produced differently, even so it can cross genres. The producer's job is therefore a very significant and rewarding one. I felt this song needed to be 'refreshed', and the recording standard needed to match the rest of the album. 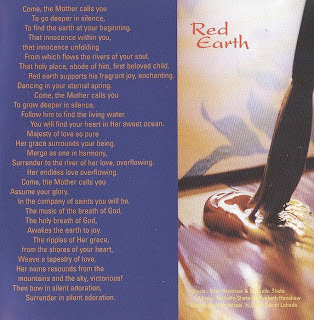 VH: Red Earth – my heart is always vibrating when I am listening the sound of Australian didgeridoo. 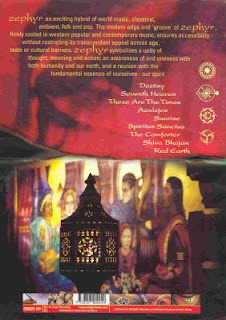 It symbolizes Mooladhara, the connection to Mother Earth, the base, the root. I consider it as the top of the album. The author is Michelle Shete and Kate Henshaw together with you. How can such a wonderful idea of celebration Mother Earth come? EH: Red Earth directly represents Australia and its wonderful, vibrating natural beauty. This track was recorded in 1996 for a Sahaj film made by the Australians (that's why it's 11 minutes long!) and I love the inspiring lyrics written by my friends Michelle and Kate. Robert Webber does a fantastic job on the didjeridoo. My other friend Sarah Labade plays the cello part. Interestingly, at the recording session there were three girls: Kate, Sarah and I, and ALL of us were heavily pregnant! It was quite funny. VH: What is new with your third album? When can we expect it? EH: For the third album I would like to work more collaboratively with a variety of artists. The albums should evolve so that new musicians and their aspirations are featured as well. Everything I write is owned by the music publisher/record company, so basically I can't distribute my own music. When they decide to finance a third album, I will start recording! EH: Thank you, Vlada for your time in spreading so much great music around the world. We all appreciate it very much!